[Eric Brasseur] built a radio-detecting snake that consists of a LED that lights up when around reasonably strong radio waves. Near an FM radio mast you’ll find a huge amount of waste energy being dumped out in the 88 to 108 MHz range. 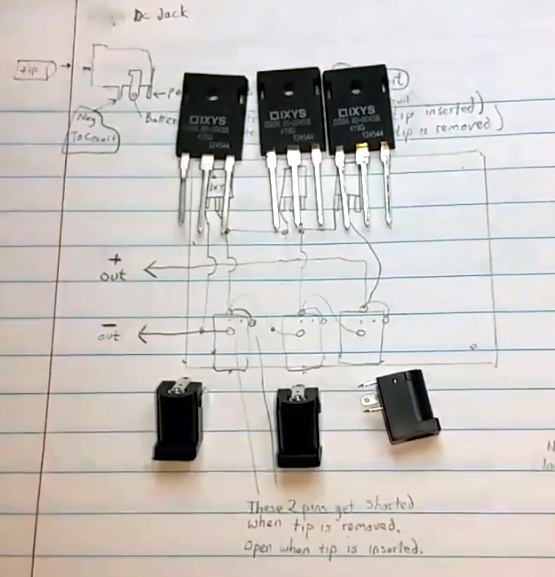 [Eric]’s rig consists of a pair of 1N6263 Schottky diodes, flip-flopped with one set of ends soldered to the antenna and the other ends soldered to the leads of the LED with about a foot of wire in between. The antenna can be a single wire as the diodes are soldered together. This one is around 4 feet in length for a total length of around 160 cm or a little over 5 feet. He went with a red LED just to give it a greater chance of being seen when illuminated by a distant or weak source of radio waves. Hackaday loves its radio hacks; check out our posts on improving WiFi throughput with FM radio and building a modern DIY FM radio.